The apostrophe is being banned from street names in parts of Devon to "avoid potential confusion". Mid Devon District Council said its new streets had not contained apostrophes for many years, but the policy was now being made official. It said apostrophes could only be found in three street names in the district. It added that Beck's Square and Blundell's Avenue, both in Tiverton, and St George's Well in Cullompton, were "all named many, many years ago". 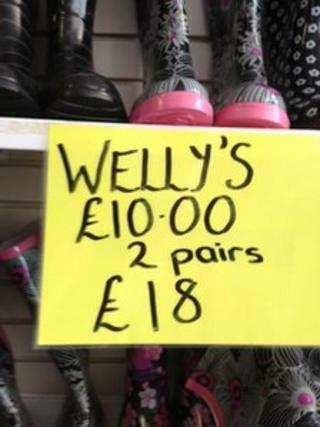 Andrew Lacey, from the council, said there was "no national guidance that stops apostrophes being used". But proofreader Mary de Vere Taylor from Ashburton said the thought of apostrophes being removed made her "shudder". "It's almost as though somebody with a giant eraser is literally trying to erase punctuation from our consciousness," she told BBC News. She said there was something "terribly British and terribly reassuring" about well-written and well-punctuated writing. "Some may say I should get a life and get out more, but if I got out more and saw place names with no apostrophes where there should be, I shudder to think how I'd react," she added. Ms de Vere Taylor said while she accepted language had to evolve, in her opinion the council's decision was a backward step. In Newton Abbot, residents of Bakers Views - named after writer and explorer Sir Samuel White Baker - have differing opinions over whether their street sign should have an apostrophe. "I think it probably should, if we're being completely correct, because it's named after the chap who funded Baker's Park just down the hill - because it's a view of his park," one resident said. But another said: "I've never thought about it and it doesn't worry me at all." Devon greengrocer Jim Ashford said although his English grammar was "not brilliant", he tries to ensure his fruit and vegetable signs are properly punctuated. "The apostrophe is part of the English language so I think it should be upheld," he said. Steve Jenner, from the Plain English Campaign, said punctuation, including the apostrophe, was one of the basic rules of language and he described the council's decision as "nonsensical". A statement from the council said: "Our proposed policy on street naming and numbering covers a whole host of practical issues, many of which are aimed at reducing potential confusion over street names." However, it declined to comment further and did not elaborate on who might be confused by the use of correct punctuation.